The firm of Cancio, Nadal, Rivera & Dнaz, P.S.C. was established in 1975 as Cancio, Nadal & Rivera when attorneys Hiram R. Cancio, former Chief Judge of the U.S. District Court for the District of Puerto Rico, Harry R. Nadal, Jaime R. Nadal and Carlos M. Rivera joined their efforts, legal experience and unwavering commitment to excellence. 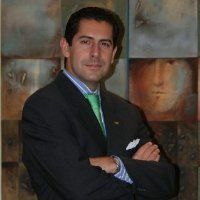 Five years later, Arturo Dнaz Angueira, former United States Magistrate of the U.S. District Court for the District of Puerto Rico, joined the firm. Since then, Cancio, Nadal, Rivera & Dнaz, P.S.C. has evolved into a multi-disciplinary legal practice comprised of extremely talented lawyers trained in a myriad of specialty areas. For four decades, the firm of Cancio, Nadal, Rivera & Dнaz, P.S.C., has distinguished itself for its unique depth, combining experienced attorneys with young and ambitious associates who understand that success comes with and through the success of the firm’s clients. Recognizing the everchanging legal, economic and technological landscape, Cancio, Nadal, Rivera & Dнaz, P.S.C., has continually evolved by transforming its corporate structure; recruiting well-respected attorneys with degrees and first-hand experience in business and government; creating new legal departments and establishing strategic partnerships with industry leaders and entrepreneurs.